- link for formal registrations and payment (incl. fees) : will be online soon here. Registrations will be considered finalised after fees payment. We do not advise any hotels in particular, please consider any option close to a tube station with quick connection to the RER B line (see here for example). People looking for cheaper accomodation can try to contact us. 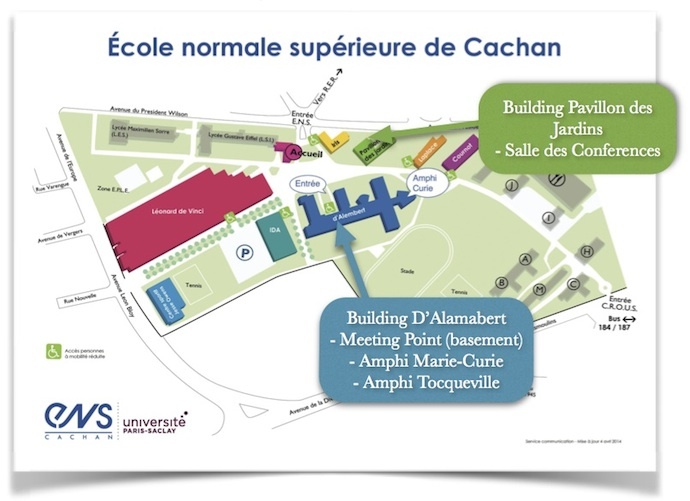 For the last time before the School is moved to the Paris-Saclay campus, the colloquium will be hosted in Cachan, in the near southern suburb of Paris. 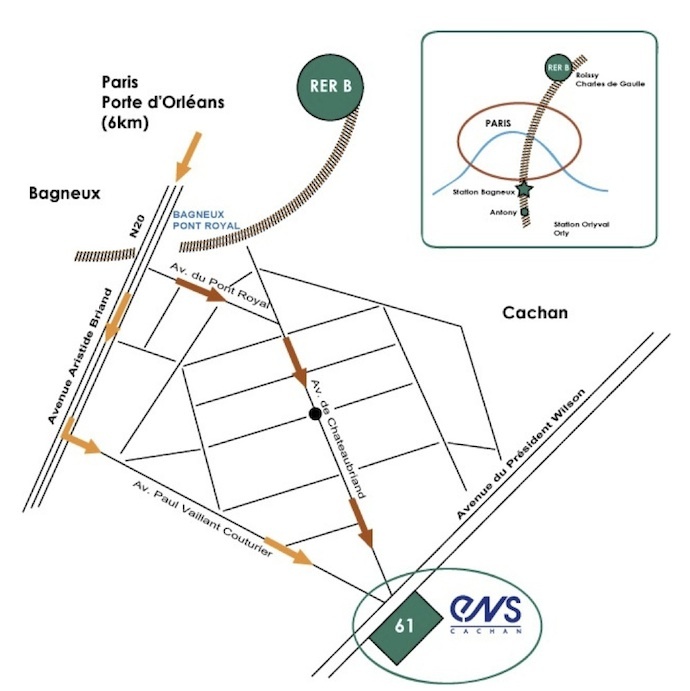 In order to reach the ENS Cachan take the RER B train directions Robinson / Massy Palaiseau to the station Bagneux, then follow directions below. Below you will find the map of the campus and indications concerning the main venues of the colloquium. The new game of innovation in the world automotive industry: how the structuring of new industries and the restructuring of old ones are changing the rules? In 2012 Gerpisa launched its 6th international research programme on “the structuring of new automobile industries and the restructuring of old ones”. Its main hypothesis was that these two processes were interlinked and would have crucial consequences for the geopolitical balance of the world automotive industry. Since 2012 the work conducted and presented at Gerpisa's annual international colloquiums has confirmed this assumption, but some of the radical changes we expected to take place in product policies (from global models to local heterogeneity) and productive organization (from global platforms to multi-domestic ones) remain to be confirmed. Yet, it is the very organization of innovation activities within the automotive sector that is perhaps undergoing the most radical changes both in its geographical distribution amongst mature and emerging countries, and its division of work between carmakers, OEMs and new players, and between traditional R&D centers within these firms, new R&D subsidiaries and external partners. This Call for Papers thus asks for submissions that examine if and how these radical changes are taking place. More generally, we will welcome papers that explore how restructuring processes in old automotive industries (TRIAD) and structuring processes in new automotive industries (BRIC and new emergent markets) affect innovation, and how new patterns of innovation alter the overall balance of the global automotive industry. How the challenges coming from new markets, new green regulations and new patterns of mobility, are changing the rules of the innovation game? How the structuring/restructuring process and the greening of automotive industry are redistributing the cards amongst incumbent and challengers? Who (amongst carmakers, OEMs, service providers) and where (amongst TRIAD and emergent countries) is winning the game and why? In order to explore these questions, 6 specific series of questions are proposed below. We also draw your attention to the special issue of the international journal IJATM that will be based on a selection of the best papers presented during the colloquium, including the winner of the young author’s prize (vii). iii)	Carmakers at a crossroads: new product architectures and new productive organizations? vi)	Employment relationships: competencies in transition?